:From New York Times bestselling author Craig Parshall comes a riveting story of supernatural suspense. As a youth, Trevor Black unleashed spiritual forces he couldn?t comprehend. Years later, Trevor is a high-flying criminal defense lawyer in New York City, with a six-figure Aston Martin and a trophy wife. But in an extraordinary turn of events, he receives a burdensome gift: the ability to perceive the invisible. And the dark forces he now sees are all gunning for him. When one of Trevor's hometown friends is murdered, the MO is eerily similar to a shocking trail of murders that have already crossed the lawyer's path. So Trevor must return home to find the killer... and face not only his own personal demons, but supernatural ones as well. 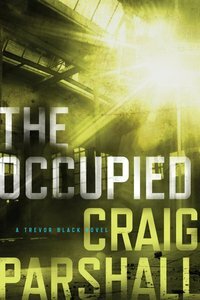 About "The Occupied (A Trevor Black Novel Series)"
Order now to secure your copy when our stock arrives. Other edition is available. 9781496411372 0 Available. Expected to ship in 6 to 7 weeks from Australia.